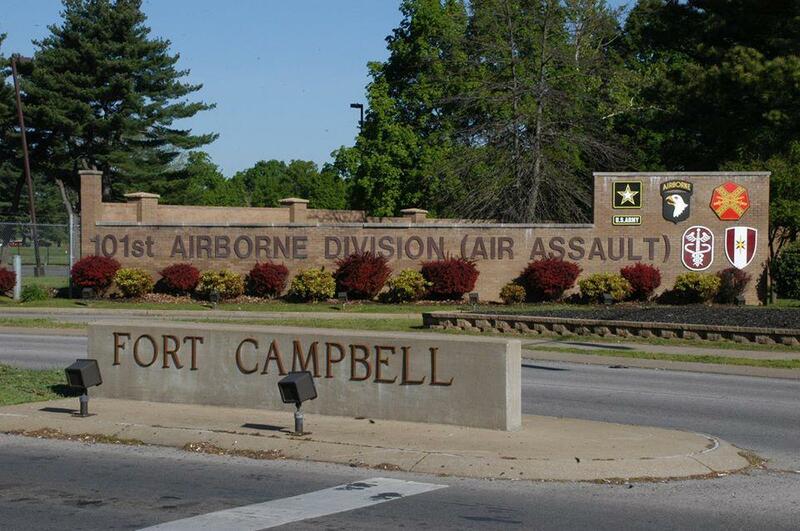 Military police have apprehended a soldier after report of an active shooter at Fort Campbell. The soldier was in the 101st Airborne Division . The incident occurred near the Campbell Army Airfield. Spokesman Robert Jenkins says no injuries were reported and the installation is secure. He says gates are open and there are no threats to the post or local communities. 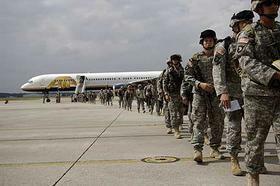 The US Army is deploying more troops from the 101st Airborne Division at Fort Campbell to Iraq this summer. Approximately 400 additional soldiers of the 2nd Brigade Combat Team will support Operation Inherent Resolve as a result of President Obama’s increase in authorized troop levels in Iraq. They join the 1,300 soldiers deployed in the spring. Last month, Ma. Gen. Gary Volesky said the unit is gearing up to assist Iraqi security forces retake the city of Mosul, which has been a stronghold of the so-called Islamic State since 2014. The troops are working to establish a logistics hub at an air base south of the city. Volesky said soldiers in Iraq can expect a nine month rotation, unless conditions change in the operation. The body of a 101st Airborne Division soldier who was swept away by strong currents during severe weather at Fort Campbell has been found. The post said Tuesday that the soldier was found less than a half-mile from the low water crossing over Little West Fork Creek on the post where he was swept away Friday evening. The soldier's name hasn't been released pending notification of family. 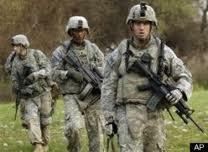 Civilian and military agencies were called to help find the soldier. Jerry Buchanan, emergency management director in Montgomery County, Tennessee, told The Leaf-Chronicle that the creek had been swollen by heavy rain. Fort Campbell is closer to breaking ground on an alternative energy project that will build the largest solar array in the state. Last week, project coordinators received the green light to break ground in two weeks’ time which will see installation of 5,814 solar modules on 25 acres generating over 2,466 megawatt-hours of electricity annually. Ft. Campbell Resource Efficiency Manager Dewayne Smith says the base’s electric utility, Pennyrile Rural Electric Co-op, is fronting the capital costs which will be paid back through the energy savings. The array will generate a 5 megawatts capacity, alleviating some of the base’s 31 megawatt average monthly demand. It's also part of a initiative under the American Renewable Energy Act requiring 25 percent of government installations’ power to be produced by renewables by 2025. For Fort Campbell, those renewables include the solar array as well as a 20 megawatt biomass-burning plant. A two-state coalition of local governments and chambers of commerce is planning to lobby against looming personnel cuts at Fort Campbell. The sprawling military base on the Kentucky-Tennessee state line is facing a potential reduction of half its 32,000 payroll as part of sequestration in the Department of Defense’s budget. The Fort Campbell cuts were one of the possible scenarios outlined in a June 2014 Army report. The reduction would also have a strong negative economic impact on surrounding communities. In January, Hopkinsville's city council sent a letter urging Congress to block the possible reduction at the base. The joint partnership includes the governments of Montgomery and Christian County, Clarksville and Hopkinsville city governments, the Hopkinsville Chamber of Commerce and the privately-funded Aspire Clarksville Foundation. The group has hired Cassidy & Associates to maximize Fort Campbell's exposure in Washington ahead of the DoD's decision.